I like rain. I also like coffee. There is something about those two things in combination that bring to the surface emotions in me that tend to stay buried otherwise. 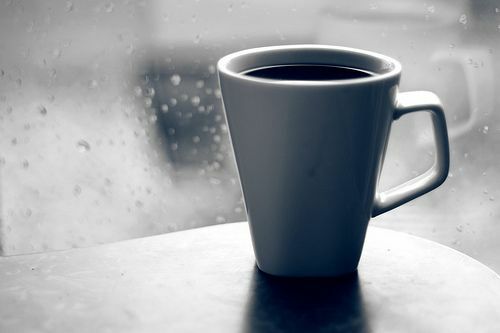 As you might suspect, I am writing this as I sit in a coffee shop, watching it rain, sipping the darkest, most intensely flavored americano that can be found in Omaha. La Mars Donuts in case you were wondering, and my heart is being stirred. So this is your opportunity to stop reading. You have been warned. I’m not sure why, but the combination of the cold weather, rain hitting the windows, and steam rising from my giant coffee house mug coax out from the depths of my insecurities the freedom to not care what anyone thinks, so I am going to go ahead and take this opportunity to express… to feel, and to allow my untidy thoughts and feelings to rise to the surface and escape the barricade of fear that so often keeps them at bay. Today, in a rather unique way, my scattered thoughts have found a home on the subject of change. All kinds of change. Most people hate change, they run away from it, and do everything they can to build walls around their lives so they don’t ever have to experience any real life change. I have alway found myself to be different when it comes to change. There is something in the depths of my soul that craves change, all kinds of change. I love watching the seasons change, I love spontaneous change of plans, seeing my kids change in the way the look, act and talk, even big life altering moves. Something about the not knowing that gets me excited, and keeps me wondering. Most of all I crave real heart level change. In me and in others. I so desperately want to believe that I am changing. That the person I am today is not the person I was last week, last month or last year. I crave the work of the Holy Spirit in my life so much, and it frustrates me to sense how powerless I am to move His hand in my own life. I am tired of being the same guy, making the same mistakes, in all the same situations. I am tired of looking in the mirror only to see, “Jake,” starring back at me, day in and day out. Most of the time I am comfortable with remaining surrendered to the timing of God in my life, but I am stricken with a sense of restiveness in regards to who I am in this moment. I have seen God do a powerful work in my life and heart in a lot of ways over the years, and for that I am eternally grateful, but sometimes, this time, I am feeling tired, I am longing for more. More change, more awareness of my weakness, and for all of it to come faster than it currently seems to be coming. Why do I so often operate from a position of weakness, insecurity and fear? Why does my desperate need for approval so often color my interactions with the people around me? How can I be free from my need to control, my need to be understood, and the desire to fix. I can not answer them. I am not in control. I am broken. I am fully dependent on the God of the universe for anything of worth to proceed from my life.